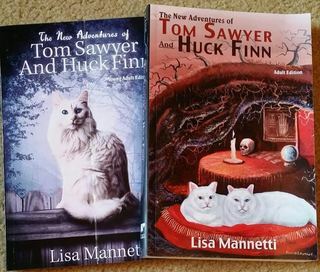 Lisa Mannetti, a Bram Stoker Winner, is one of our favorite authors at Smart Rhino Publications, and her stories have appeared in several of our anthologies. I always enjoy working with Lisa, and was pleased when she suggested publishing The New Adventures of Tom Sawyer and Huck Finn. 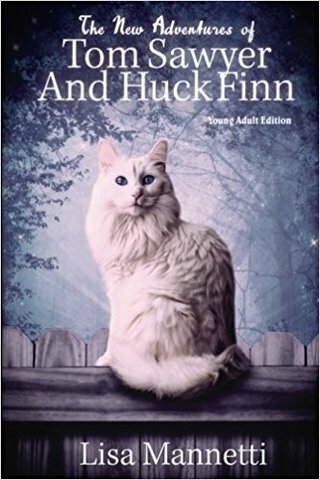 Tom and Huck have reincarnated as twin white cats, and they're now familiars for a modern-day witch--and, of course, they want to be boys again! This whimsical, often humorous novel would make Mark Twain proud! The Adult Edition is a bit risque and contains some adult situations that may not be appropriate for younger readers. The Young Adult (YA) edition has been especially written to appeal to a younger audience. The cover illustration for the Adult Edition is by the inestimable Glenn Chadbourne, with a cover design by the incredible Amy York. The cover illustration for the YA Edition is by Safira de Meza of the Netherlands, with a cover design also by Amy York. Both editions include an Introduction by NY Times best-selling author Jonathan Maberry. For more on Lisa, check out my interview with her for Suspense Magazine.